Simple, easy and effective method to relax, overcome fatigue & pain. Personalized practices helps remove obstacles and enrich experience. steps are expanded to provide relaxation and higher mindfulness. Personalized practices helps remove obstacles and enrich experience. 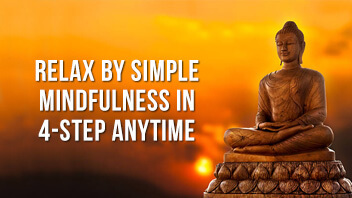 5 step is expanded to relaxation and higher mindfulness. You learn principles in an interactive talk, contemplate for clarity, practice and share the experiences. Free from cult, dogma, belief and religion. You learn to remove barriers that blocks the progress, helpers that hasten the perfection. Any one who is seeking peace, happiness, and complementary approach to overcome addiction / dependence from drugs, alcohol, and other social abuses. 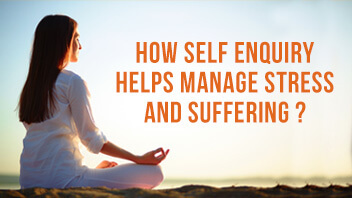 Raise immunity, enhanced self-awareness, focus and memory. Four questions that begins the journey. Four stages / levels of happiness. Meditation is the highest. Being / becoming big by knowing our true nature is the key. Four aids of meditation/ mindfulness to succeed in any endeavor. Digital delivery of practices for practice anytime. In-person practices personalized to address challenges at personal, professional and social levels.